I spent the July 4th weekend at a cottage (or “camp”) not far from Sudbury. Walking in the bush we came across some interestingly shaped spruce. A few hours later and with the help of my Arbortech minigrinder, I was able to give my hosts this bowl. Flip it over and it looks like a foot, but this way up the colours make it look like a seashell. 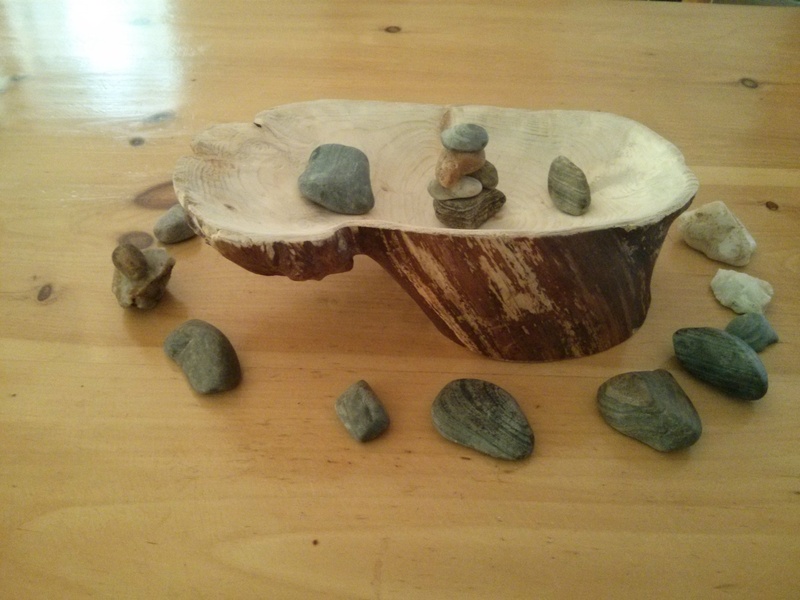 A little beachcombing yielded the decorative stones. This entry was posted in Uncategorized and tagged Arbortech, bowl, spruce, woodcarving on 08/07/2015 by diamondcarving. Hope fellow Canadians had a great day off. I enjoyed quality time carving in the garden, and as a result, Trefour’s face is done. Here he is, in all his happy glory. Just the base left to refine, then final sanding and finishing! 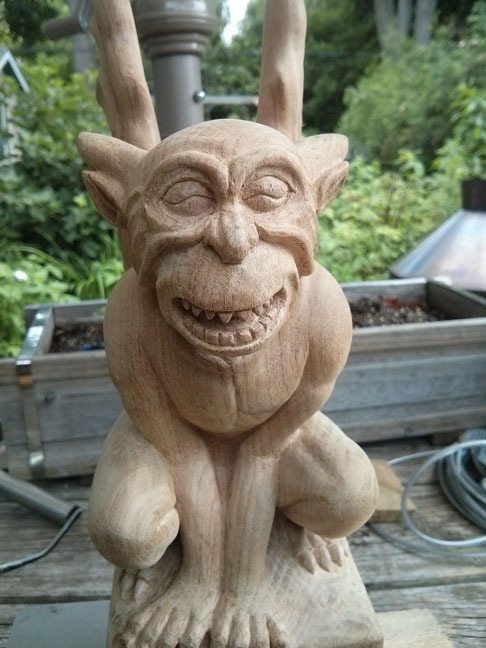 This entry was posted in Uncategorized and tagged carving, gargoyle, grotesque on 01/07/2015 by diamondcarving.